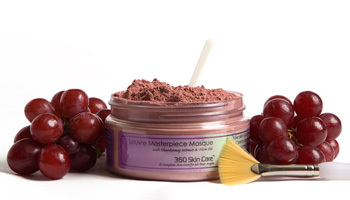 Your skin is a blank canvas; paint yourself in a layer of pure ecstasy with 360 Skin Care’s Louvre Masterpiece Masque. French Chardonnay Grapes are rich in antioxidants that protect your skin from free radicals. Fruit Acids along with milk proteins encourage new cell regeneration. Paint away your worries and divulge in the masterpiece of you. Paint brush and instructions included. Devised for use on all skin types.